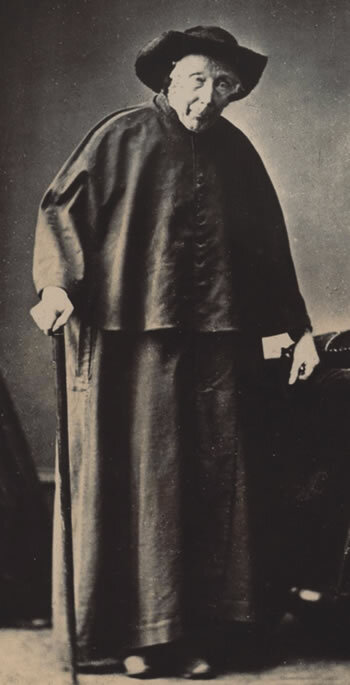 In the winter of 1880, as he lay bedridden by his last illness, Father Jeremiah Purcell O’Reily OFMCap remarked wryly that “he didn’t know he had so many friends until he became frail”. Visitors flocked to his bedside in a room adjoining his beloved church of St Mary of the Angels on Boulcott Street in Wellington. They had come to farewell the man known by all as ‘Wellington’s first Pastor’. Now nearly 80, the old Capuchin friar was a much-loved figure on the streets of the city. For nearly four decades he had made the arduous daily climb from his church up to his humble hillside presbytery on Mount Street, and walked great distances to visit people in need from all denominations. He had arrived in New Zealand in 1843, intending to stay seven years. In the end he lived away from Ireland and isolated from his fellow friars for the rest of his life. Fr O’Reily was the presiding figure in early Catholic Wellington, and the story of that pioneering community is also his story. Fr O’Reily died on 20 July 1880. On the 25th, after a Requiem Mass, a crowd of 8,000 followed the funeral cortège as it wound its way through the streets of Wellington and up to the Catholic cemetery on Mount Street. By 1880 Wellington was the national capital and centre of a diocese. On Golder's Hill in Thorndon stood St Mary’s Cathedral, its gilded statue of the Virgin Mary looking out over the city and harbour. On Boulcott Street the wooden gothic church of St Mary of the Angels occupied a commanding position in the centre of town. Near Plimmer Steps the Marist Brothers ran a thriving school. The faith was well established in central Wellington. The situation had been very different in January 1843 when Fr O’Reily first set foot in New Zealand. The small timber buildings of the infant town huddled along the shoreline between the harbour and the steep, deeply forested hills. The waves broke on the shore where the ‘golden mile’ of Lambton Quay and Willis Street now runs, and much of Te Aro was impenetrable swampland. Wellington had been founded just three years before by the New Zealand Company. A highly speculative enterprise, the majority of town acres had been sold sight unseen before the first Company ship, the Tory, arrived on 20 September 1839. The rapid purchase of vast tracts of land from local Māori had been decidedly questionable, and many arriving settlers were horrified to discover that the orderly plots they had seen on Company maps were in fact perched on sheer hillsides, dense with forest. From its earliest days Wellington was home to a devout and energetic community of Catholics. 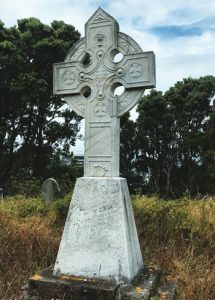 The character and culture of the Church in colonial New Zealand was largely determined by French Marist missionaries, Māori converts, and Irish settlers. But early Wellington was something of an exception to this. Young English lay Catholics, many descended from ancient recusant families, played a pivotal role in the founding of Catholic Wellington. Among these was Henry Petre, 20 years old when he arrived in Wellington aboard the Oriental in January 1840. 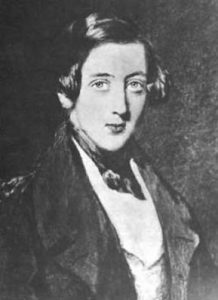 Henry was the son of a Director of the New Zealand Company, the 11th Baron Petre. His ancestor, the 4th Baron Petre, had been a prominent 17th Century Catholic, and died in the Tower of London in 1684. It was Henry Petre who was to be instrumental in bringing Fr O’Reily to Wellington. Also on board the Oriental was Dr John Patrick Fitzgerald, a 25 year old Irishman from County Monaghan who served as surgeon superintendent on the voyage out. Fitzgerald was to become the leader of Wellington’s Catholics in the colony’s early years. 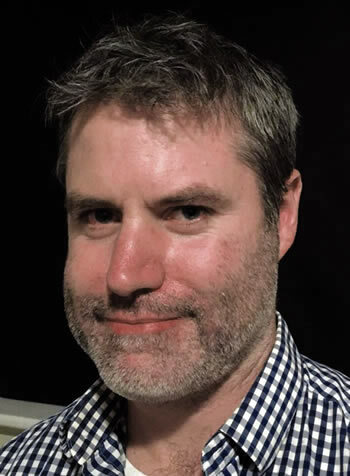 While the predominantly English New Zealand Company settlement established itself on the shores of Port Nicholson, the main Catholic presence in New Zealand were Marist missionaries of the Society of Mary, under the leadership of Bishop Jean-Baptiste François Pompallier. The Marists concentrated their efforts on missionary work among the Māori population of the upper North Island. The Marists were the pioneers of the Church in New Zealand, but in the early 1840s they were not in a position to meet the needs of a rapidly growing settler population. Wellington’s small but dedicated Catholic community would have to make do for the next three years without the services of a resident priest. 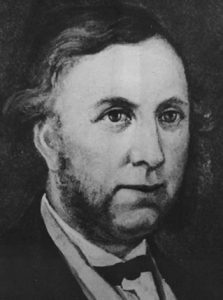 Fitzgerald, arguably Wellington’s first ‘Lay Pastoral Leader’, led regular Sunday worship in his own home, and arranged catechism classes for the Catholic children of the town. There was even a choir, organised by Jane Sharp, wife of Captain Charles Sharp, the town’s first harbourmaster. 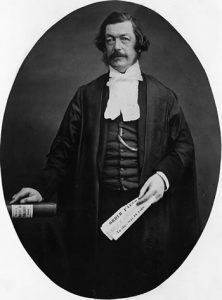 Prominent among these early Wellington Catholics were the eccentric German hotelier Baron Charles Ernest von Alzdorf, and Charles Clifford, later to serve as the first Speaker of the New Zealand House of Representatives. It was Charles Clifford who wrote the prayer which until very recently opened each sitting of Parliament. It’s impossible not to admire the lay Catholics of early Wellington, building their faith community in great isolation. 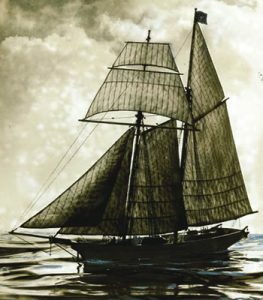 On Christmas Eve 1840 Bishop Pompallier arrived for his first visit to Wellington aboard his Schooner, the Sancta Maria. On Christmas Day, in the house of Police Magistrate Michael Murphy, Bishop Pompallier celebrated the first Mass in Wellington’s history. 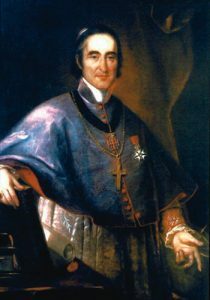 Pompallier’s visit, in which he also heard confessions, blessed marriages, and baptised children was a joyful occasion for Wellington’s Catholics. But Pompallier was not able to provide the colony with their longed-for resident priest.